Anthony Hollander is Pro-Vice-Chancellor for Research & Impact and Professor of Stem Cell Biology. 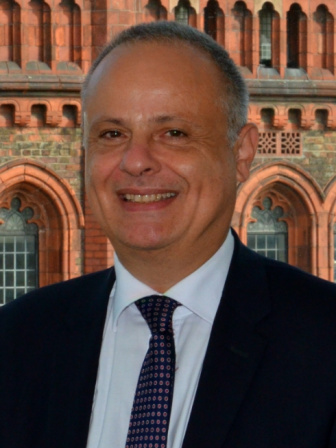 He provides strategic leadership for the development of research policy and for ensuring impact of the University’s research programmes in Liverpool and around the world. He is also responsible for commercialisation of research, for developing partnerships with companies and other external stakeholders and for the training of postgraduate research students. Anthony’s research career has focussed on the development of stem cell therapies for treating diseases of cartilage. His spin-out company, Azellon Ltd, is developing a stem cell treatment for torn knee cartilage and he was previously part of a team that created the world’s first tissue engineered airway. He is former President of the International Cartilage Repair Society and is Chair of Utrecht University’s International Scientific and Societal Advisory Board for Life Sciences.